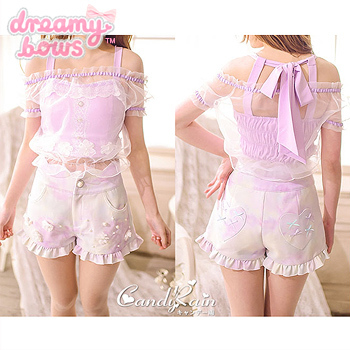 This beautiful high waist shorts from independent clothing brand Candy Rain is full of lovely details, and is perfect for larme kei and other cute styles! 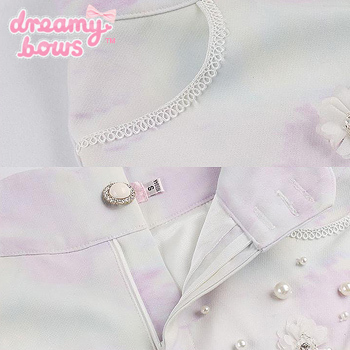 The main fabric of the shorts is a lovely marbled lavender and mixed pastel, in subtle pale hues of lavender, cream and blue. 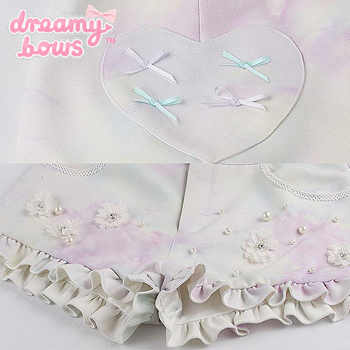 The 3D flowers and pearls gives the shorts a dreamy feel and the heart shaped pockets on the back are adorned with colourful bows, giving it a cute and playful look.